BorgWarner Incorporated is an automotive parts manufacturer founded in 1928. Today, the company is known for its powertrain products, but asbestos-containing brake pads and clutches produced before the 1980s left BorgWarner facing thousands of lawsuits. 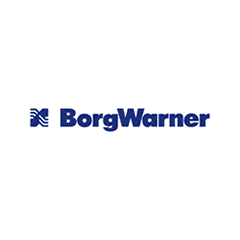 Headquartered in Auburn Hills, Michigan, BorgWarner formed after the merger of Borg & Beck, Marvel-Schebler, Warner Gear and Mechanics Universal Joint. One of the company’s early specialties was the production of automotive transfer cases, a part that attaches to the transmission to help power front and rear wheels. BorgWarner and its subsidiaries have also produced automatic and manual transmissions, as well as auto turbochargers. The company has created patented technology like the sprag clutch, which helps automatic transmissions smoothly change gears. BorgWarner has continuously expanded throughout the decades. In the 1970s, various subsidiaries branched off as the parent corporation continued to focus on engine and drivetrain automotive components. Today, it has 62 locations in 17 countries and employs around 27,000. However, the company continues to deal with consequences of using asbestos — a carcinogenic mineral — in several of its products prior to the 1980s. A reported $703.6 million ($440.6 million after tax) charge related to pending and future asbestos-related claims saw the company’s fourth quarter 2016 results tank, with a net loss of $293 million. The majority of lawsuits filed against BorgWarner are the result of the company’s asbestos-containing brake pads and clutches. The company reported it resolved 38,000 asbestos cases in 2005 and 27,000 in 2006. According to recent earning reports, BorgWarner paid $54.7 million in 2015 and $45.3 million in 2016 in asbestos-related defense and litigation fees. The after-tax one-time non-cash charge of nearly $441 million is said to cover pending and future asbestos claims that may be asserted for the next 50 years. Unlike other companies who have faced thousands of asbestos claims, BorgWarner has maintained its business proceedings and has not filed for bankruptcy. Exposed to Asbestos Through BorgWarner Products? Find out if you are eligible for the BorgWarner Inc. Asbestos Trust. One case against the company involved Mark Buttitta, a former General Motors (GM) employee who died of mesothelioma at age 50. Buttitta worked at a GM warehouse during his summer and winter breaks in college in the early 1970s. He regularly came into contact with asbestos-containing brakes and clutches, including those manufactured by BorgWarner. Buttitta also had prior secondary exposure to asbestos. When he was a child, his father had a similar job handling asbestos-containing clutches and brakes at a GM warehouse. Buttitta’s father came home with asbestos fibers on his clothing, exposing his family to the hazardous mineral. After Buttitta died in 2002, his surviving wife Susan sued BorgWarner, GM and several other companies. BorgWarner attempted to defend itself by saying its products were not in GM’s New Jersey warehouse when Buttitta worked there. However, the jury was unconvinced since the company destroyed its GM sales records and had no physical evidence of its claim. In 2010, the court ordered the named companies to pay $30.3 million in total damages. A New Jersey appeals court later upheld the decision. In July 2015, a California state appellate court overturned a $32.5 million punitive damages decision against BorgWarner. The case involved former General Motors security guard Secundino Medina, who sued BorgWarner and a number of other companies in March 2010 after he was diagnosed with mesothelioma. Medina claimed to have been exposed to asbestos while working security at GM, especially while walking through an area where damaged BorgWarner clutches were replaced. After he died in July 2010, Medina’s family took over the lawsuit. A jury later awarded $130,500 to each of his three daughters in economic damages, along with $2 million each in noneconomic damages. Finally, $32.5 million in punitive damages was awarded to the Medina estate, but the appeals court later decided there wasn’t enough evidence against BorgWarner to preserve the large sum, which may have bankrupted the company. BorgWarner was still forced to pay its share of $6 million in noneconomic damages. Until the dangers of asbestos were publicly known in the early to mid-1970s, the mineral was commonly used in automotive parts, especially brake pads and clutches. BorgWarner continued to supply asbestos brake pads and clutches until the 1980s. The company’s chrysotile asbestos brake pads and clutches were used in automotive repair shops across the country, exposing auto mechanics to toxic asbestos fibers when brakes were grinded. Other automotive employees were also exposed while handling these products, including auto factory workers and warehouse workers. Today, the Occupational Safety and Health Administration recommends methods to reduce asbestos exposure for auto technicians. Safety measures include using pressurized enclosures and wetting asbestos-containing materials to minimize the amount of airborne asbestos fibers. Walsworth, J. (2017, February 9). BorgWarner records $441 million charge to fight asbestos claims. Meyer, D. (2015, July 16). BorgWarner Beats $32.5M Asbestos Punitives Award In Appeal. Roberts, G. (2017, February 10). Asbestos claim charge clobbers BorgWarner Q4 results. Dye, J. (2010, April 6). $30.3M Award V. Asbestos Corp., Borg-Warner Upheld. BorgWarner Inc. (n.d.). Company History.